The capacity of a venue or space depends on the available space for people. You need to find out if existing structures and features pose a hazard and make sure they can withstand the additional number of people. Do pillars, heavy furniture or other structures create additional hazards such as pinch points that present risks to the people? If so, can they be redesigned or removed? 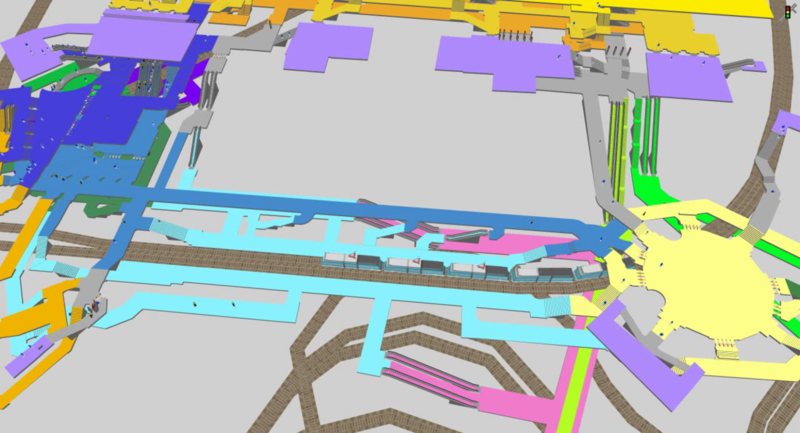 With PTV Viswalk, the software simulates all conditions, considers all factors, and tests the capacity of the crowd and people in different structure or design without having to build them in the real world. The pedestrian simulation software helps to evaluate and address regulatory compliance with local and international safety rules. By testing different scenarios in PTV Viswalk, the software can tell you precisely if the infrastructure is safe for people or not. As city planners or event organisers, you should establish as an early priority that you can manage a crowd safely for any type of scenario. Even if it takes place in open spaces, a strict crowd management principle should be applied to make it as safe as possible. Here is where PTV Viswalk comes in. It can identify any key hazards that affect crowd and pedestrian safety so you can create a comprehensive crowd management plan. Other stakeholders such as police and the local authority can be briefed thoroughly based on the detailed simulation the PTV Viswalk provides.